I don’t think anybody questions the fact that 3D printing has done and continues to do amazing things. The questions being asked now are about how we can continue to push the possibilities forward. One of the arenas for investigation involves the possibilities for printers to print with more than one material at a time. Currently, each time a material is switched, the printing process has to be stopped. In order to address this, researchers at Harvard University worked to create a printhead that can mix and print viscoelastic inks. This multimaterial printhead uses a combination of active mixing and quickly changing nozzles to be able to vary the composition of the materials they are printing, as they are being printed. This on the go variation could open the door to a bevy of new possibilities in areas like soft robotics and wearable devices. Not wanting to hide their light under a bushel, the research team, led by Jennifer A. Lewis, head of the Lewis Lab and a faculty member at the Wyss Institute for Biologically Inspired Engineering in the John A. Paulson School of Engineering and Applied Science, published their results in the latest issue of the Proceedings of the National Academy of Sciences. In order to understand the developments required to create this technology, it is first necessary to explain the difference between passive and active mixing. Passive mixing is when two fluid streams are combined by being funneled in to a single channel where they, by the nature of their being liquids, become intermingled. This technique for mixing fluids works well when the liquids are more viscous or if it is necessary to work in either small volumes or over a fairly short period of time. The research team itself demonstrated several potential applications of their technological development such as the printing of silicone elastomers into gradient architectures with some regions having a greater plasticity than others. In addition, reactive materials, such as epoxies that are designed to harden when mixed were able to be used for printing through this process. Active mixing isn’t the only contribution they are making either. The research team has also introduced a design for a printhead that can switch quickly between inks all while using a single nozzle. This innovation works to address the difficulties present in aligning multiple nozzles and in the start-and-stop process previously necessary for printing with different materials. 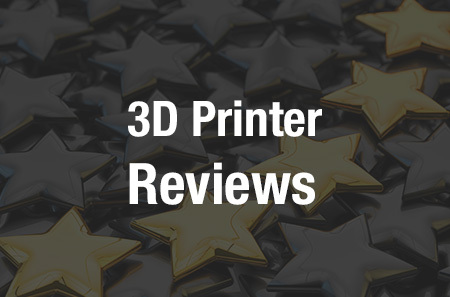 Let’s hear your thoughts on this research in the 3D Printing Materials forum thread on 3DPB.com.